Do you have excitement and passion to develop a successful digital product for local storytelling from start to finish? Are you looking to work with one the largest, most stable news and broadcasting organizations in the country? If so, then we are looking for you! Hearst Television owns and operates 30 television stations and two radio stations. We reach 21 million U.S. television households across 39 states. Our stations operate web and mobile platforms which reach 25 million unique visitors every month. 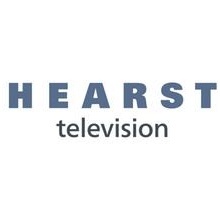 Hearst Television has an exciting opportunity for a driven and innovative problem solver. The Digital Product Strategy Consultant will help accelerate the velocity of new product development efforts and help drive business KPIs through new end-to-end product development, from inception to launch and profitability. This position is responsible for full lifecycle product management – If you enjoy executing the game plan from start to finish, you’re the teammate we are looking for! Build successful new products for local storytelling. Take the kernel of an idea, flesh it out, seed pilot deployments, iterate and refine it, and if the pilot proves to be a success, drive deployment across the Hearst Television portfolio. Maintain a pipeline of vetted product concepts that are in various stages of development. Identify areas in which research could help to gain important insights and run research projects. Prepare regular status reports, identifying opportunities, hypothesis, concerns and forward paths; keep the extended team of professionals working on the product informed. Use analytics and user feedback to identify what is and is not working. Contribute to ideation around new products and formats for local media. Light travel may be required, domestic only, approved travel will be fully reimbursed. Must be an accomplished product development professional with numerous product development “wins” to your credit, preferably in the digital media sector. Would be beneficial if the candidate is familiar with and a heavy personal user of the leading digital media products. The candidate is ideally someone with a passion for news, and an appreciation for local media specifically. Must be able to lead by building enthusiasm and achieving goal alignment with busy professionals in adjacent departments. Must be able to convince other team members to commit effort and resources in support of product development effort, without clear authority to compel them to do so. Ideal candidate takes pride in being extremely well-organized and prepared. A strong work ethic, collaborative style, tenacity and sharp communication skills are essential for this position. Highly proficient in product and project management toolsets, ability to construct wireframes, functional requirements, author documentation for developers, write tickets for developers, feature review developer work and validate desired functionality post deploy. Delivery focused, proven track record of coming up with ideas and driving those ideas through execution to tangible outcomes in the marketplace. A minimum of two years of experience, preferably five, working in a product development capacity. Has successfully led the development of new products and/or have achieved exceptional results in a new product or feature launch. Learn more about Hearst Television, Inc.